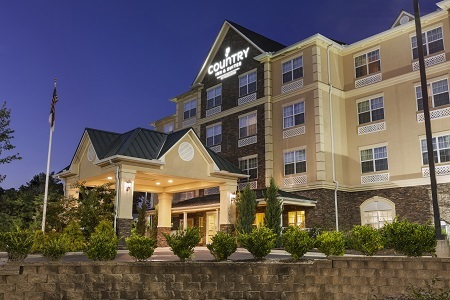 Start your vacation in the stunning Blue Ridge mountains at the Country Inn & Suites® by Radisson, Asheville West, NC. 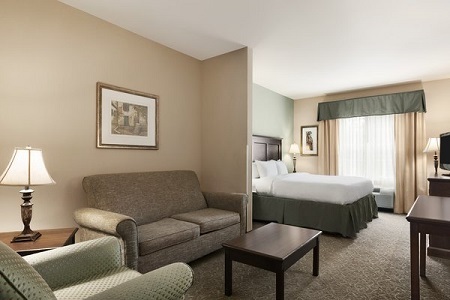 Conveniently situated near I-26 and I-40, our hotel places guests near must-see attractions like the U.S. Cellular Center and Chimney Rock State Park. The nearby Biltmore Estate boasts activities like tours of the 250-room mansion, on-site horseback riding and wine tasting. End your evening in the heart of downtown Asheville, where you can check out live musical entertainment and an array of eclectic restaurants. Treat your family to platefuls of homemade Belgian waffles, French toast and fresh fruit each morning at our free, hot breakfast. Later on, you can plan a romantic date night out at one of the nearby restaurants in downtown Asheville. Local foodies love eclectic eateries like The Admiral, which features a diverse menu of octopus, fowl and quail. 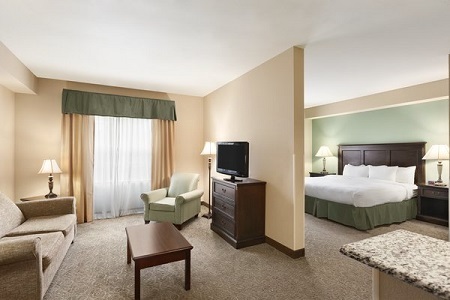 Downtown Asheville – The heart of Asheville lies only 15 minutes from the hotel. Attend a Downtown After 5 event for a night of toe-tapping live music and foodie-approved dishes, or head to Shindig on the Green for a quirky evening of bluegrass tunes and dancing. Biltmore Village – Originally built to house the workers who tended the Biltmore Estate, Biltmore Village has since grown into a vibrant area full of quaint shops and restaurants. Drive 15 minutes from the hotel and hop aboard the Gray Line trolley for easy transportation to the village. Western North Carolina Nature Center – Located within 20 minutes of the hotel, this zoological facility is dedicated to preserving native Appalachian wildlife. Spend an afternoon strolling through exhibits containing black bears, endangered red wolves, bobcats and more. Host up to 15 guests in our versatile meeting space, ideal for intimate social gatherings and business seminars. You can present engaging slideshows with the use of audiovisual equipment and keep your guests connected using free Wi-Fi. Looking to feed a crowd? Ask our friendly staff for top local catering recommendations. Please note: Truck/trailer parking is not available at this hotel. 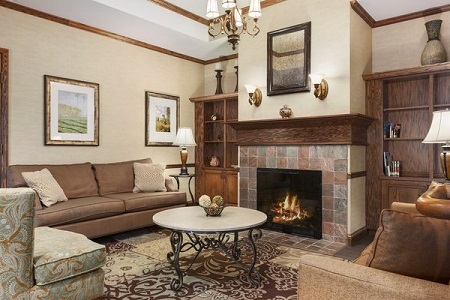 In addition, pets cannot be accommodated at this hotel, although registered service animals are always welcome. Holiday notice: Minimal housekeeping service will be available on December 25, 2018. Fresh towels and bath amenities will be offered to each guest.